&diams; two chest pockets with button flap, and left one with pen hole, convenient to work. &diams; two slanted slash pockets on the side seam of pants &diams; two tool pockets with flap on the legs. 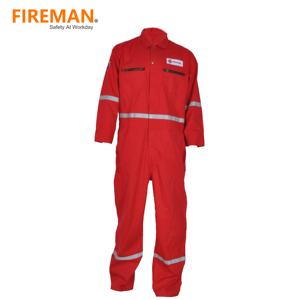 we're professional manufacturer of flame retardant workwears. bar tack all pocket openings, crotch seams, and on all stress points. Everything can be done very well in regards to receiving order forms, drawing, sample-tailoring and technic-tracking. It can ensure to make garments timely, deliver on time with excellent quality and high efficiency. Chaopeng has accumulated more experience in cooperating with some famous overseas brand such as Walls , KEY and etc. 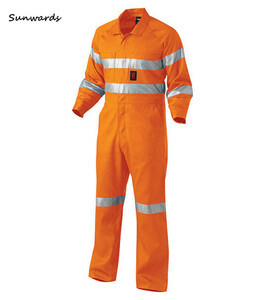 3. industrial overall size can be chosed ,summer, spring, autumn and winter clothes,multiple colors available. We have strictly quality control system to make sure our goods will be same as your confirmed sample. All products can be supplied according to your special requirement. How to confirm our price is more reasonable than other suppliers 9 we are manufactures,we can guarantee the price we give is lowest. How to confirm the quality with us before start to produce 9 You can get a sample , if you confirm, then we make the quality according to that. 6.The professional technicians allow us to provide the accurate counter samples according to the clients' requirements in time. W e control the quality from the fabric , cutting , sewing , ironing to the packing . Q: Why we choose you 9 A: We are serious business man, we are honestly. Please feel free to contact us if there is anything we can do for you. 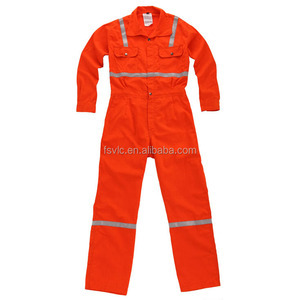 We specialized in producing : casual pants,cargo pants, bibpants, outdoo wear, boiler suits/overall,uniform, chef's suits, medical suits, labcoats,jackets, aprons etc. 2. Short lead time: With the production capacity of 200,000 pcs per month, Eastman's delivery time is more flexible. 3. Competitive Price: Rich Fabric sources, over 20 years's accessories purchasing experience and low wage level in central China form Eastman's competitive price. original dupant nomex iiia or alternative aramid fabric, aramide threads and fr zippers, fr reflective tape. *in potentially explosive atmospheres, proper grounding procedures must be used. *do not put on or take off the garment in proximity of flammable gasses, vapors, dusts or in other potentially explosive environments. The company was founded in 2007 which has been dealed with flame resistant yarn and fabric for home textile and decoration initially. 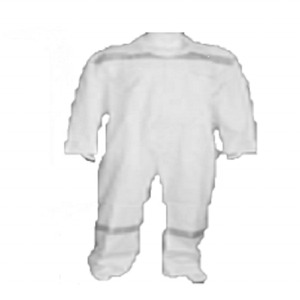 We accumulated experience for the flame resistant fabric for the clothing in the next four years. We handle each order individually and are able to provide very competitive and advantages rates for orders. 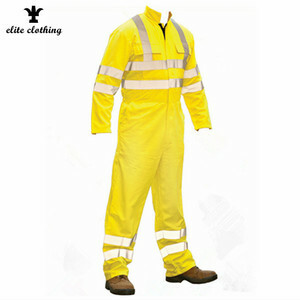 Specification Name Fluorescent safety long sleeve work coverall Fabric 100% cotton 190gsm fabric Tape 3M brand high visibility silver reflective tape #8910 Color Yellow/orange and navy Logo custom printed or embroidery logos Closure buttons in front and sleeve ends(long sleeve) Pocket two chest pockets with flap; any functional pockets can be added Size variety of sizes as follows: s,m,L xl, 2xl, 3xl,4xl Certificated and Test EN471&ANSI107, AS/NZS standard MOQ 1000pcs Design front workshop Cutting room Payment&Packing Term of payment T/T, Western Union , LC or as your request Delivery Time 35 days after sample confirmed Packing 1pc/opp bag, 20pcs/Carton G.W: 22KG. N.W: 21KG. Measurement: 48x30x45CM. according to different working environments, we provide tailor-made uniforms based on technology of fr fabric and other high-tech materials. during this period, if any product quality issues occur, spare parts will be sent for free. &diams; Two chest pockets with button flap, and left one with pen hole, convenient to work. &diams; Decorative waist with button, two sides with waist tab, and the back of waist is elastic. &diams; Two slanted slash pockets on the side seam of pants &diams; Two tool pockets with flap on the legs. shanghai modacrylic flame retardant textiles co., ltd. is a manufacturer of flame resistant clothing, located in shaoxing, zhejiang province and has office branch in shanghai. now we have grown into professional manufacturer and trading company in f/r industrial market place with capibility of apparel design and new functional fabric development. We can make a sample for each style, but we will charge the sample fee. *Heavy-duty stud (or Velcro) closure at the sternum and neck on the overall. *We are pleased to be given a test order. 5) Immediate attention to any request from you and outstanding after-sales service. Q 1: Can I have a sample for testing9 A: Yes, you can, but you need to pay. Q 4: Can I have a visit to your factory before the order9 A: Sure, your visit is welcome at any time. - Front closure with two-way brass zipper and button. - Two side elastic waist, more beautiful, action freely. - Two slant pockets on the side seam of pants. You can inquiry the details of Anti-static Product . We will do our best to help you manufacture the exact one you need . 8. After-sale service When you receive the product, We always are here . 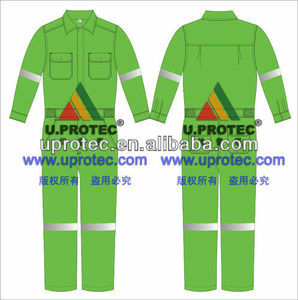 Alibaba.com offers 190 dupont nomex coveralls products. About 41% of these are other uniforms, 30% are safety clothing, and 2% are military uniforms. 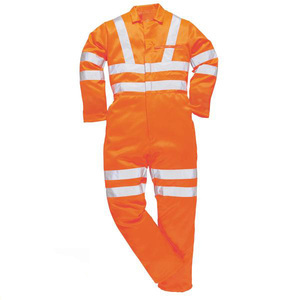 A wide variety of dupont nomex coveralls options are available to you, such as free samples, paid samples. 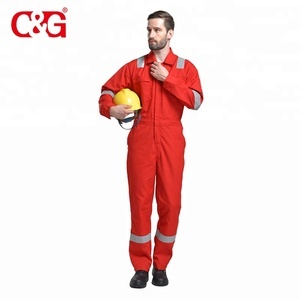 There are 190 dupont nomex coveralls suppliers, mainly located in Asia. 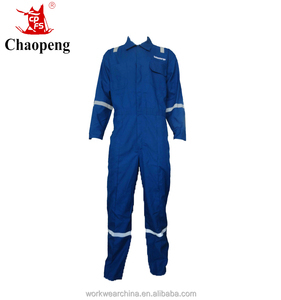 The top supplying country is China (Mainland), which supply 100% of dupont nomex coveralls respectively. 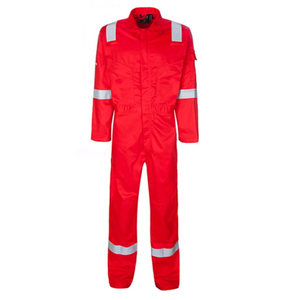 Dupont nomex coveralls products are most popular in Domestic Market, Africa, and Southeast Asia. You can ensure product safety by selecting from certified suppliers, including 190 with ISO9001, 190 with ISO14001, and 96 with Other certification.